This amazing creation, which, believe it not, was able to reach top speeds of 93 MPH, has been credited to a Mr. M. Goventosa of Udine, Italy and Davide Cislaghi of the French company Motoruota. 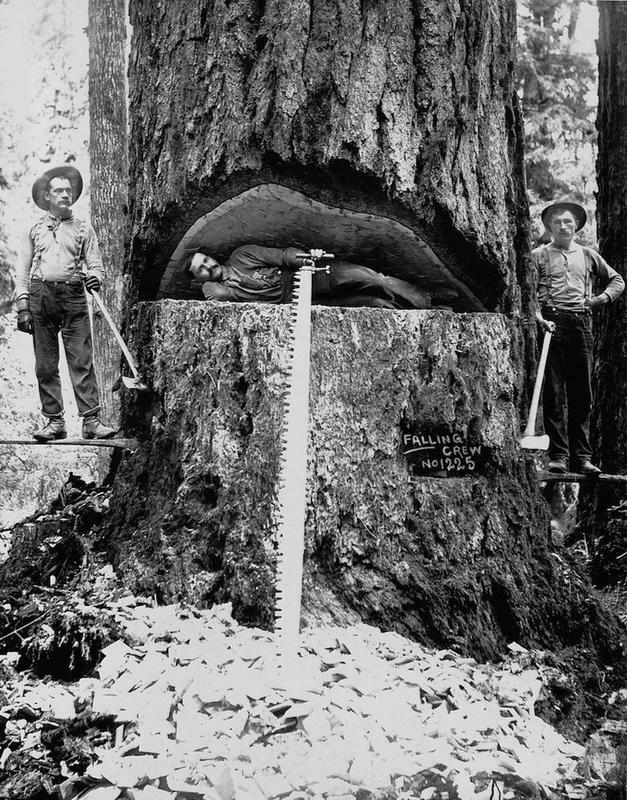 The men in this picture, and those like them, are known as lumberjacks, but they actually went by a variety of different names. The term lumberjack, which is of Canadian origin, usually refers to a bygone era when hand tools were used in harvesting trees. Other terms for the job include woodcutter, shanty boy, woodhick and timber cutter or cool cutter in Australia. A logger was known as a river pig, catty-man, river hog, or river rat. And the term lumberjill is used for a woman in this occupation. The actual work was difficult, dangerous, intermittent, low-paying, and primitive in living conditions. However, the men built a traditional culture that celebrated strength, masculinity, confrontation with danger, and resistance to modernization.